3 Basic Etiquette Rules Trail Runners Should Follow | JustRunLah! 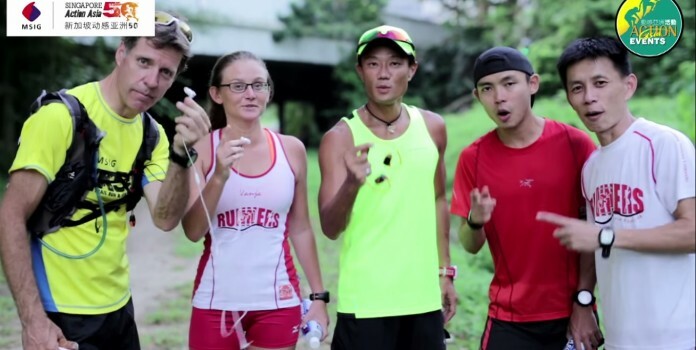 As the countdown begins for MSIG Singapore Action Asia 50 race event, runners all over Singapore are gearing up to start training for the MSIG trail race series – a flat, fast urban trail race through the heart of Singapore. A training session will be held on Tuesday 7th July 2015, 6:30pm at Harbourfront MRT. The routes covered will include the Marang Trail, leading towards Mount Faber, as well as the nearby open spaces. It is optional to bring a small torch in case of limited visibility at night during the 60-80 minutes session. While being a motivated and determined runner aids in your training sessions, here are 3 basic running etiquette all runners should practice to be a considerate runner. Excessively loud music played through your audio gadgets not only result in unnecessary noise to other public area users, but also impede your safety as your auditory sense is numbed by music, which in turn lowers your level of alertness. It can be a great and therapeutic experience to leave your ears music-free and listen to the sound of nature once in a while. Plastic bottles are a thing of the past – it is now time to use your own hydration resources such as reusable water bottles and hydration pack bag. This simple gesture saves the environment by reducing plastic waste which are hard to remove, and also reduce greenhouse gases that contribute to global warming. Singapore global reputation as a clean and green garden city did not come easy – It is through the continuous green efforts of our people that contribute to the sustainable living environment we have in Singapore today. Runners should dispose their litter at waste bins which are conveniently located all around the country so as to keep away unwanted pests or running hazards. Let us all do our part for the environment and our community by being a considerate, responsible and green runner! Hi is the run at harbourfront tomorrow (7th July) only for those who have signed up for the MSIG run?